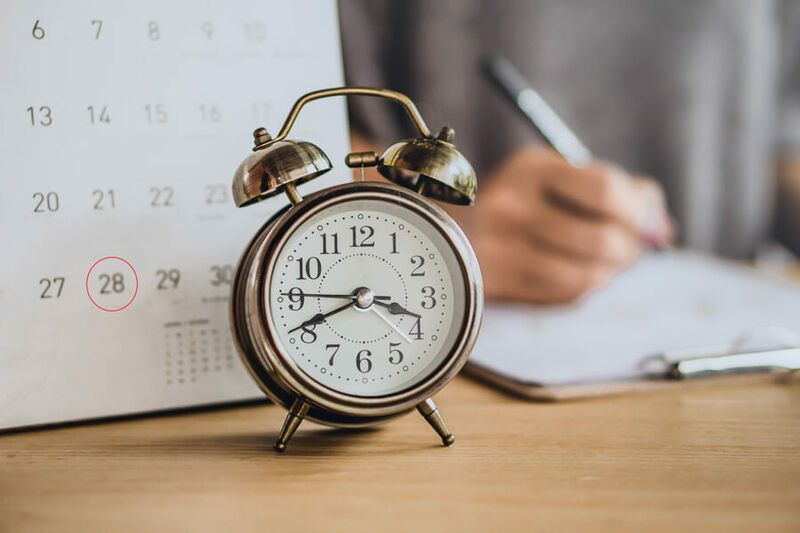 The concept of reference letter has been around for quite some time now, however, the concept of volunteer reference letter is something a lot of people still does not know, or maybe is still something not as familiar. 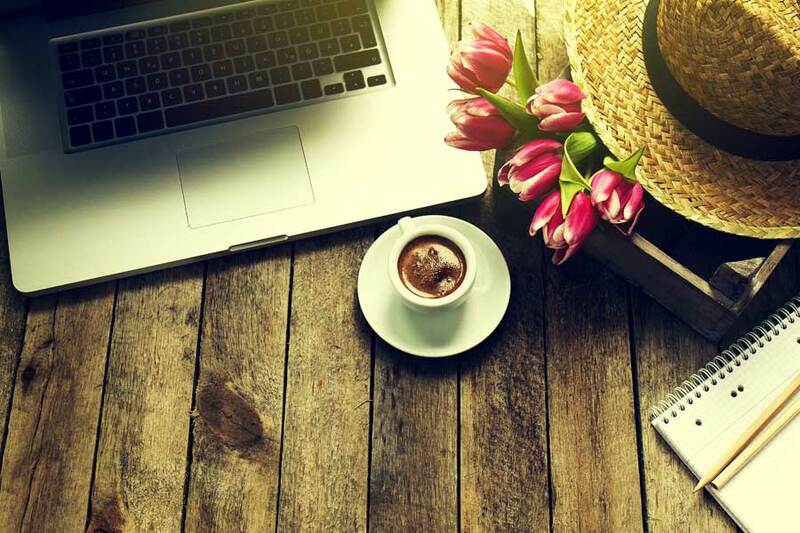 Nonetheless, a volunteer reference letter is used by people who have been active in one or several charity work, or who have worked in support of a good cause. 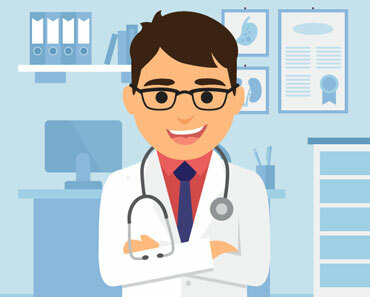 These types of recommendation letter are being popularized by many candidates to show more personal qualities that are presented on a CV and give more inside of the character of a person. Also, these types of letters are widely use for students who are seeking a scholarship in an important university. All this is to make some light of the fact that the person seeking for a position in a job or in a university is always working towards the benefits of their community. The main point of this letter is to highlight the qualities of the candidate by describing their participation and achievements during their volunteer work; these qualities are evaluated by the employers or the members of the university the person is applying for, to show their objectives or capacities are aligned with the desirable profile of the institution. 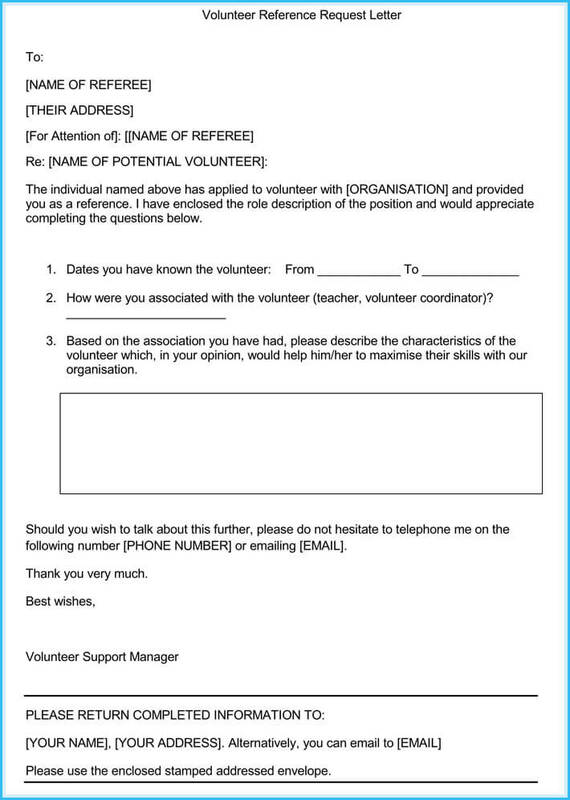 This trend of volunteer reference letters is relatively new; as people are becoming more and more aware of their social surroundings and so, people are spending more time doing charity work either to increase their possibility to get a good spot in a desirable job or institute. 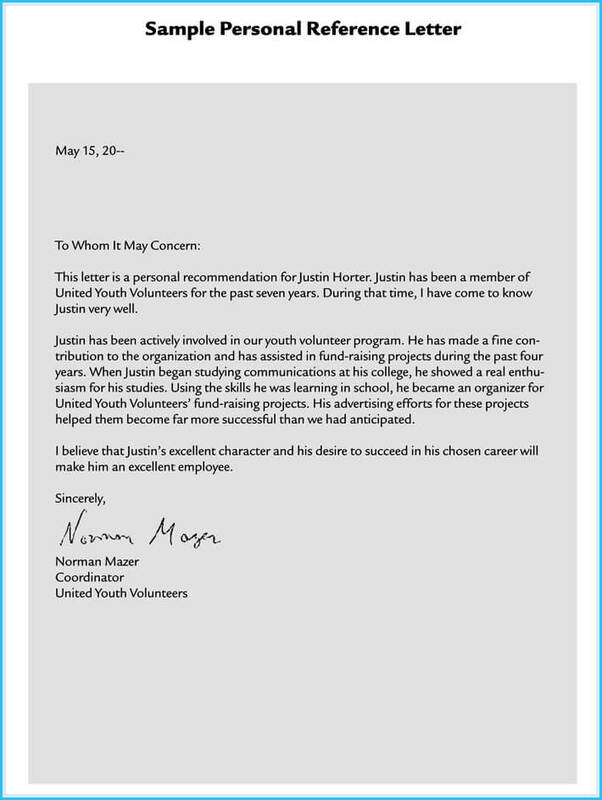 This letter is a personal recommendation for Mr. Justin. Justin has been a member of RYC Charity Foundation for the past five months. I have to come to know Justin very well during this time. Justin is an active member of RYC Charity Foundation. Since his joining, there had been a tremendous growth in the number of clients joining the RYC Foundation’s English Learning Program. He makes sure RYC Charity Foundation is well known among his peers. Justin has an amazing convincing power and he organized a fundraising project, which was very successful. There are a lot of clients who are interested in volunteering with the foundation, which is because of Justin’s personality and amazing character. He has inspired youth to work with such foundations, which are working for the betterment of the community. Justin’s excellent character and motivational skills will make him an excellent candidate for any organization. 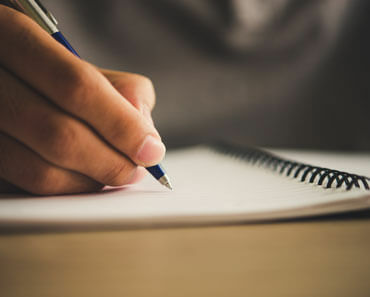 This particular Volunteer Reference Letter would assist in writing a letter, which can recommend a certain student for a particular scholarship. It would highlight skills of the student. 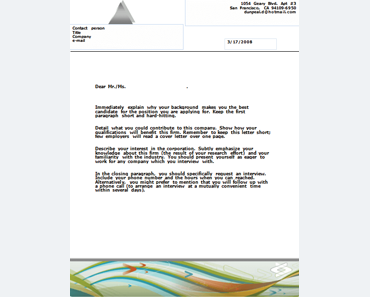 It can be a great sample for a Guidance Counselor who is looking for the perfect content for this kind of letter. 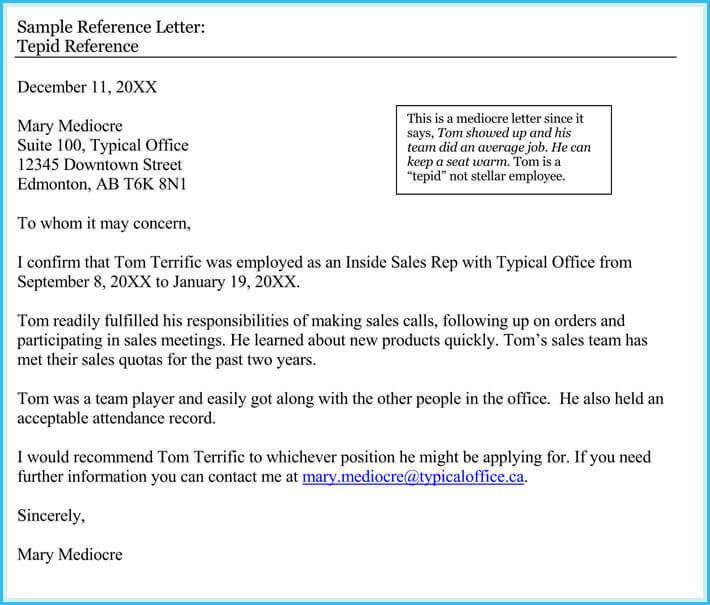 This particular Volunteer Reference Letter highlights the qualities of a person who was an inside sales representative during a certain period. The letter shows, how that person had been able to manage and fulfill their tasks during that time. It shows the responsibilities a person had been able to fulfill during the tenure. It can be great for someone who is looking to recommend a person for a certain position. This letter highlights the skills and abilities of a person who is working for a volunteer-based organization. It shows the abilities of a person in fundraising project and highlights the excellent character. 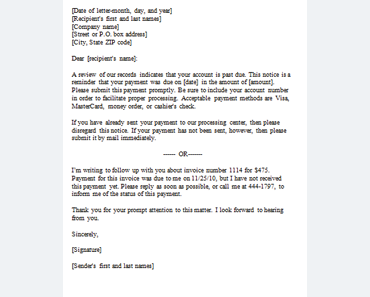 This letter highlights the significance of a criminal background check. 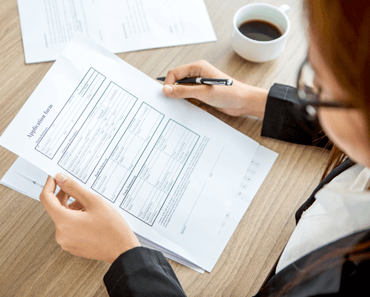 It is intended for a person who is a reference provided by the potential candidate and thus, has to provide the relevant information about this potential candidate. 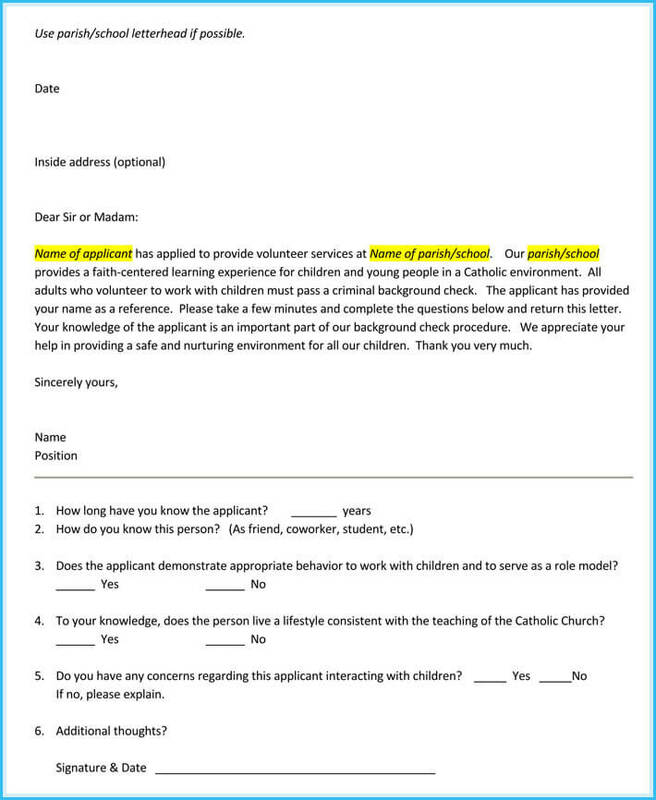 This letter shows that a certain person has applied as a volunteer for a certain organization and has provided the name of a person as a reference. It asks a certain question to this person and it can be a great sample for a volunteer support manager. This particular letter is addressed to a selection committee recommending a person for a certain program. It highlights the skills and abilities of a certain person and highlights that this person can be a good fit for a certain program. It can be a good sample for an assistant professor seeking perfect content. 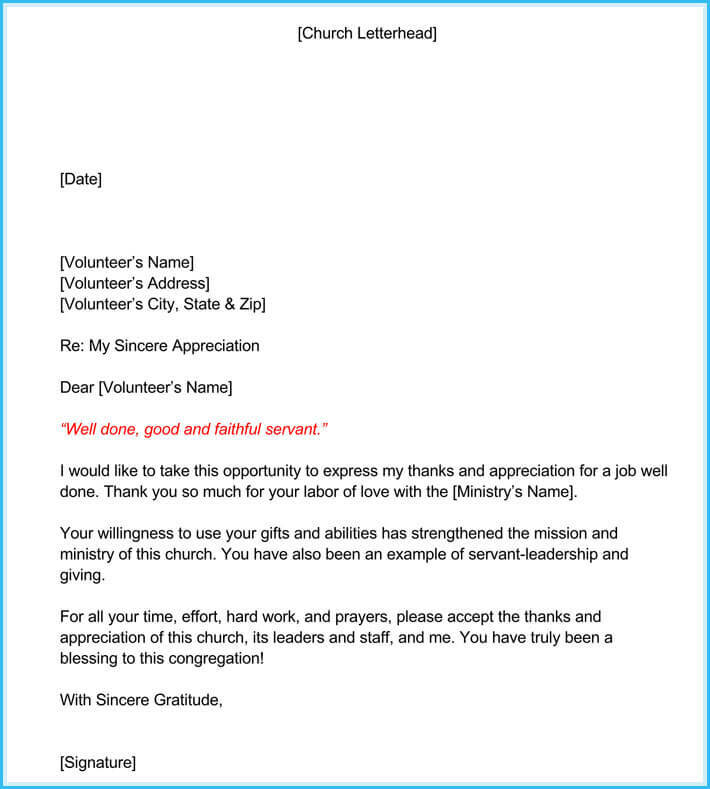 This letter appreciates a certain person and highlights their importance for a certain congregation. It appreciates and values time and effort of a person for a church. 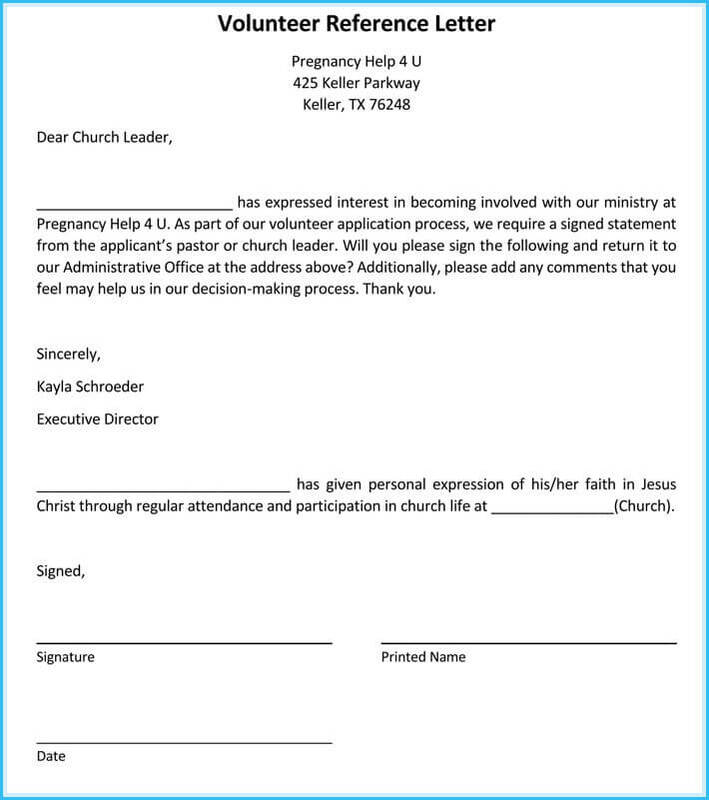 This letter highlights how a certain person would like to join the ministry and it is addressed to the Church Leader. 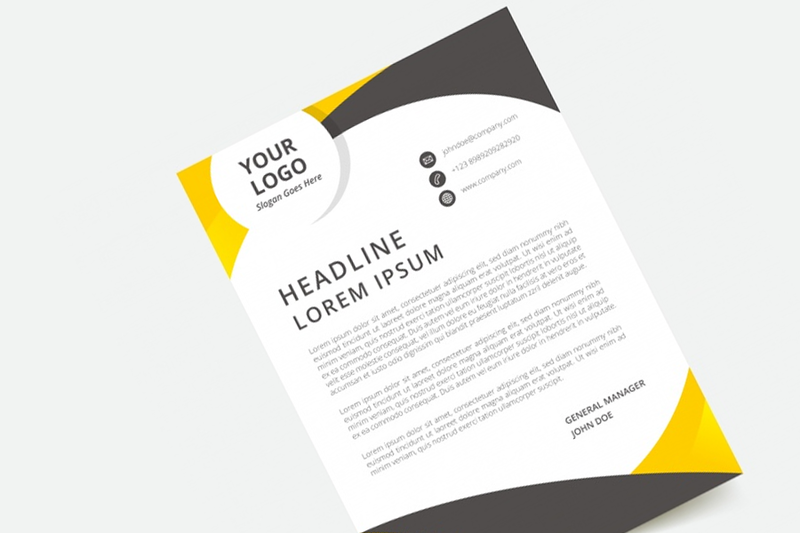 The letter provides a basic format, which can be great to ask additional questions about the potential candidate. 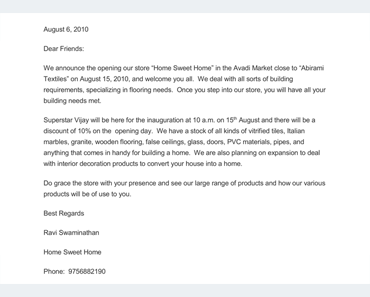 This type of letter is structured as any reference letter; it must be written and signed by the head or any other person who has some relevance of the volunteer work. 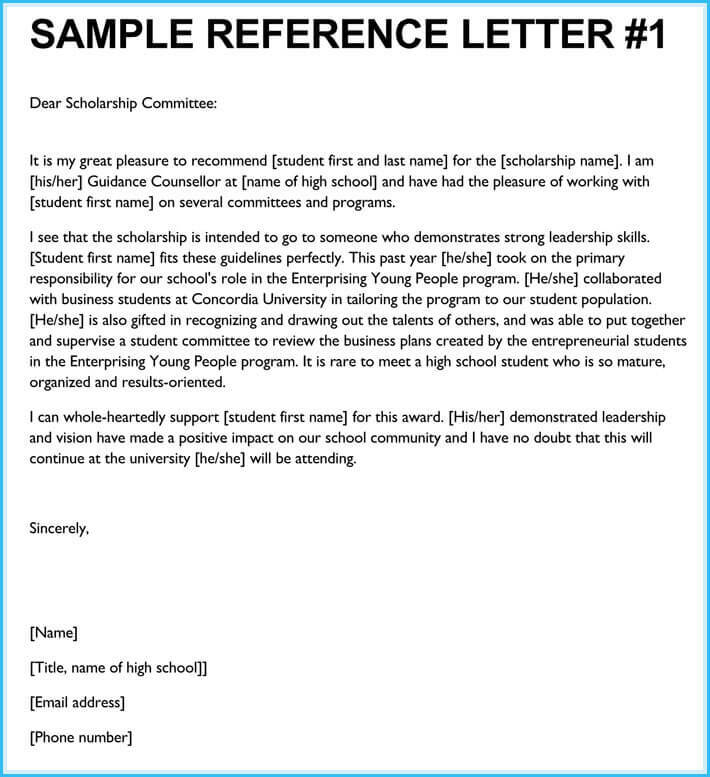 To have a good reference letter sample focuses on several key points, like the main focus of the applicant, a well explained description of the applicant record, the time the applicant spent on the charity organization, also, a detail explanations of the applicant’s achievements during the time spent on the organization, and finally, a conclusion on the personal characteristics and attributes the applicant has and their own prediction of potential growth. Another key point to explode is the relation the recommender and the applicant had during the time working together, that should bring a better inside on their attributes to their future boss or future academic dean. Some other great features for a volunteer reference letter for students seeking a scholarship are to have a great recommendation from one of their teacher if they also were part of the committee of the voluntary work that would offer a perfect inside on their academics, besides their personal attributes. The main idea to accomplish a great volunteer reference letter is to have a great relation with the person o charge as well with their colleges, to show what kind of a person you portrait to be in your community and to show you are a great example to follow in terms of leadership and responsibility.